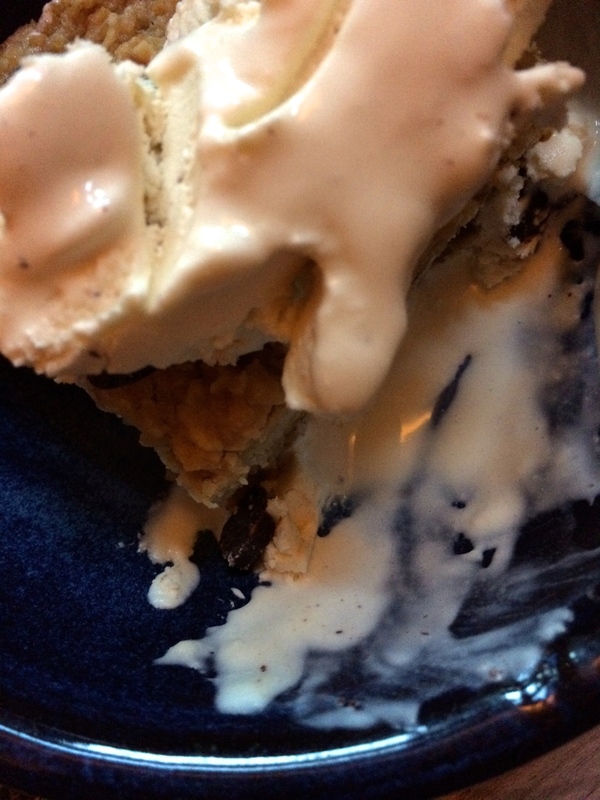 Messy blobs of Jackson Pollock ice cream – Wait…are those…cookies?! Trashed up desserts are the best kind of desserts. I usually find that ice cream and rainbow sprinkles are my preferred trashing-up methods of choice… and once the ice cream starts melting, you can go all Jackson Pollock on your dessert. This method is especially fun when there is drizzly caramel involved, obviously. And yes, this ice cream does contain eggs and dairy. If you follow me regularly, you’ll know that over a month ago I was told I had an intolerance to a bunch of different foods (after feeling like garbage for three months), so I went cold turkey and stopped eating all of them for a month. And I felt exactly the same (ie, crappy) for that whole month. So, I am a) back to eating those things and b) in the process of being tested for a bunch of other stuff to find out what’s going on. Which means that as it doesn’t make me feel any worse than I already do, ice cream is back on the table. Because it makes me happy, and until I have a better idea of what’s causing this unceasing bout of crappy, I will eat things that make me happy. Le sigh. Ideally answers will be forthcoming, and SOON. But enough of that, because I don’t like wallowing, I like dessert. 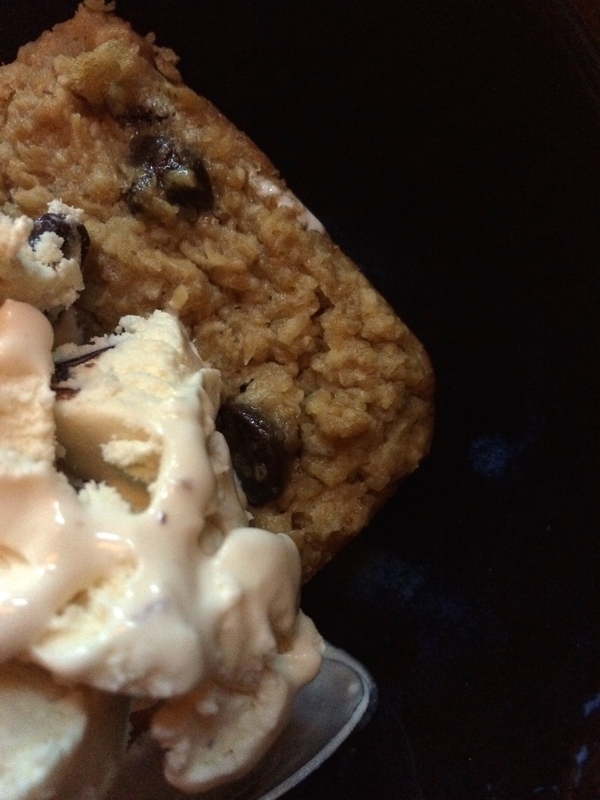 Let’s indulge instead in some messy delicious photos of dessert. 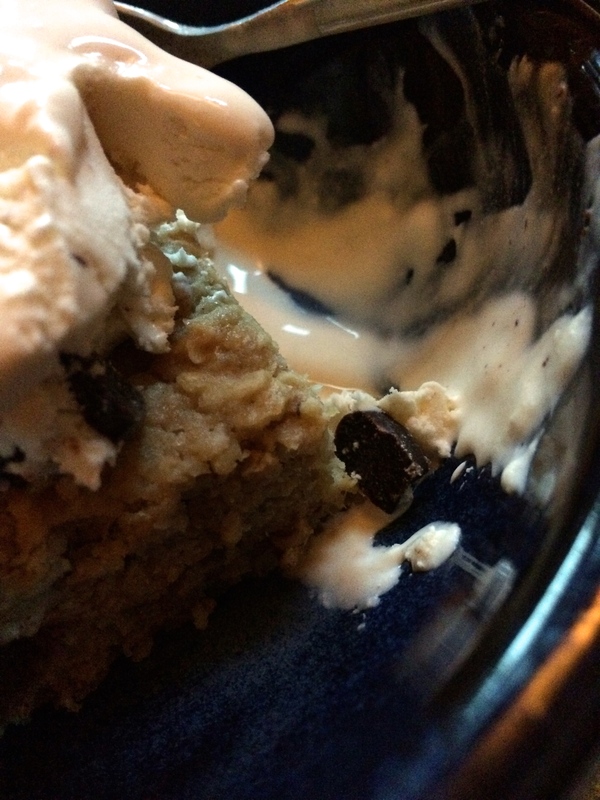 Because dessert is way more fun than wallowing, and messy food is sometimes more fun to photograph than perfect food. Even when it’s lacking sprinkles (I know, I don’t know what I was thinking. Obviously I wasn’t). 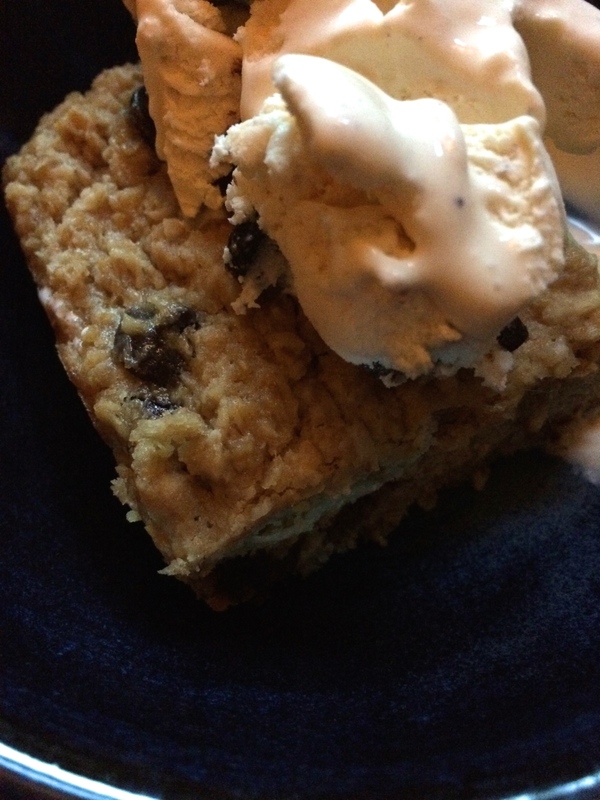 So here you have some chickpea oatmeal cashew butter bars… because I took all the delicious things and crammed them into one bar. Because I can. 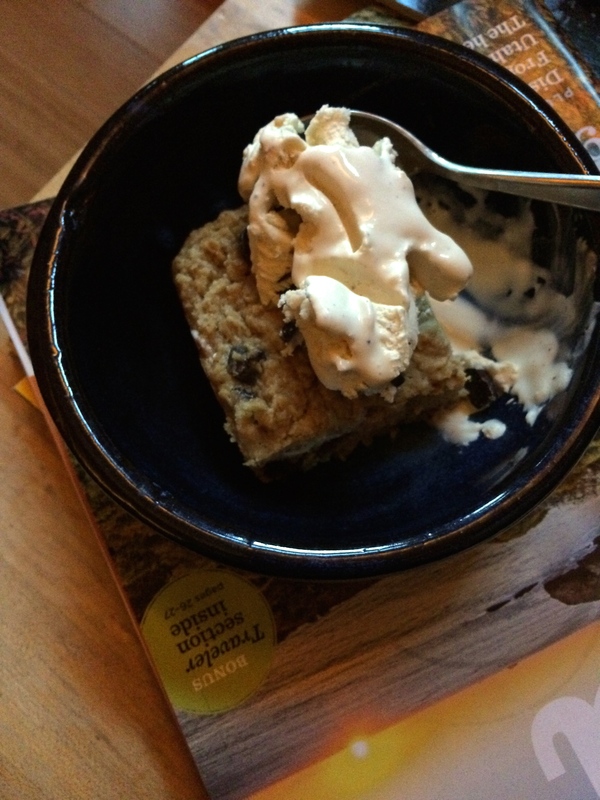 I’m definitely a fan of bean-based desserts— it’s a great way to get a little extra protein boost in your dessert, besides the fact that they’re naturally gluten free and delicious. AND THEN you throw ice cream all over the top of it and pat yourself on that back for a job well done. A word of caution to the super sweet fans out there: these bars are lightly sweet, but definitely not overly so. The maple could be increased, depending on your preference; I like them less sweet though so a 1/4 c was fine for me. Gluten free, dairy free, vegan, refined sugar free, and full of good carbs and healthy fats. Lightly sweet and cakey Quick to make, and minimal clean up (especially if you bung the food processor into the dishwasher as I’ve become fond of doing… more a slightly more drought-friendly option than trying to hand wash the stupid thing). Recipe yields one 8 by 8 pan, or somewhere in the neighborhood of 9-12 bars. Lightly adapted from the Natural Nurturer, here! Add garbanzo beans to the food processor, and pulse until they’re mostly broken up but still slightly chunky. Add maple, hemp milk, applesauce, cashew butter, vanilla, flax eggs, baking powder, and sea salt, and process until mostly smooth. It won’t be completely smooth, but a few chunks are okay. 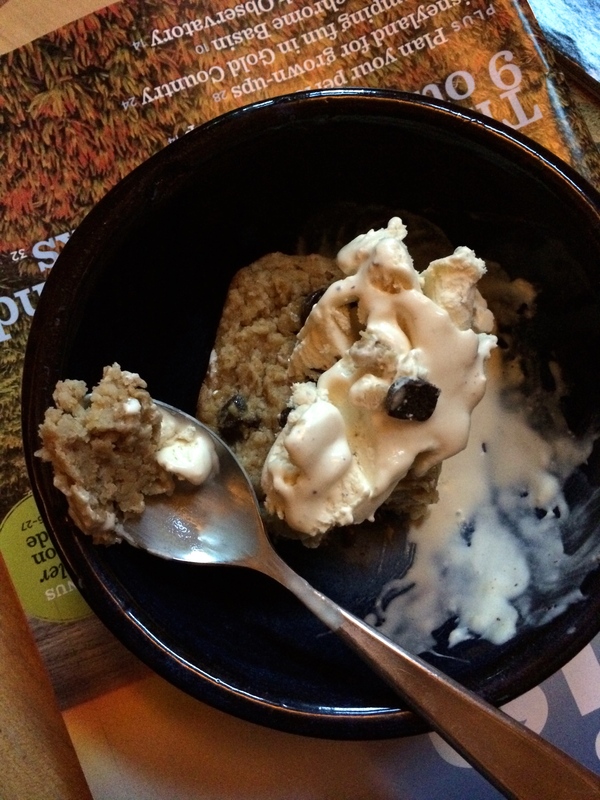 Add in oats, and pulse to combine, but leave the oat pieces intact like an oatmeal cookie (in other words, don’t let it go until the oats are completely smooth— you want texture!). Stir in chocolate chips. Pour the batter into the prepared pan and smooth out the top (and eat the extra off your fingers, bonus points for being vegan). Bake for 27- 30 minutes, until a tester comes out clean and the top is lightly browned. Store any leftovers (ha, you’re funny) in the fridge, either in the pan covered in foil or a sealed container (I usually move them to a tupperware after a day or two).